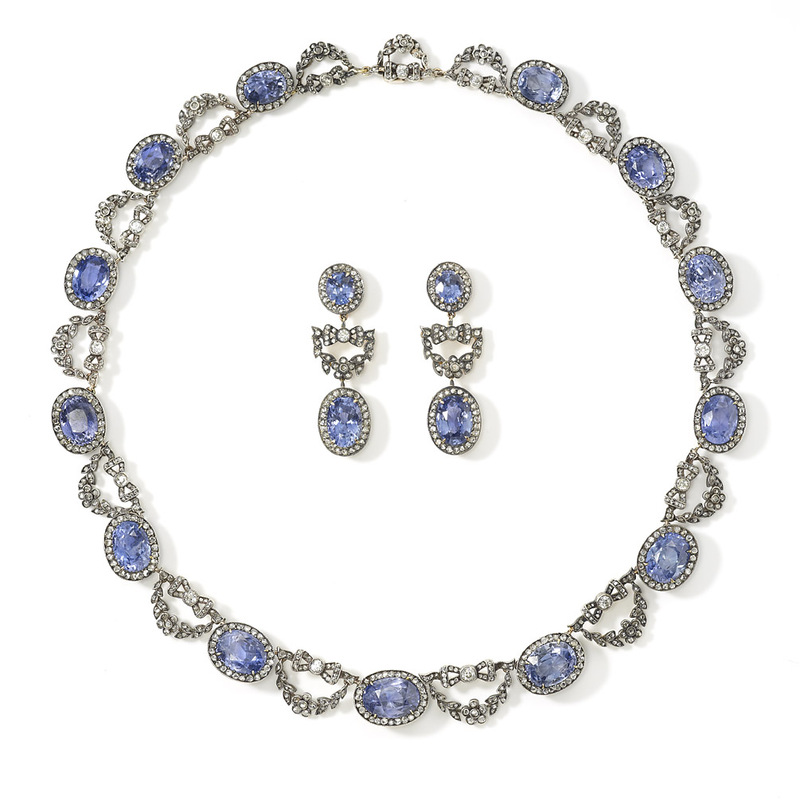 formed from thirteen graduating clusters of oval, brilliant cut, blue sapphires encircled by rose cut diamonds, joined by rose and brilliant diamond set bows suspending diamond set floral swags supported on openwork galleries, set in silver and mounted on gold (with later matching earrings). By Fabergé’s Chief Jeweller: Albert Holmström St Petersburg, 1908. This necklace is an incredibly rare work and prized work of art by Carl Fabergé. Items of jewellery were by far the most expensive works at Fabergé and a jewel of this scale of would have been a considerable purchase.